Contemporary poetry written from 2003 to 2007 by Dave Knight - 212 pages. From the joy of love to the depths of marital breakup, from the humour of children to the mysticism of a visionary, Dave Knight's first collection of poetry contains something for everyone who appreciates rhythm and rhyme. 'Portrait of the Artist as a Lone Tree' is a title inspired by James Joyce's 'Portrait of the Artist as a young man', as was Dylan Thomas' 'Portrait of the Artist as a young dog'. The title is all my book has in common with the works of those very different authors. 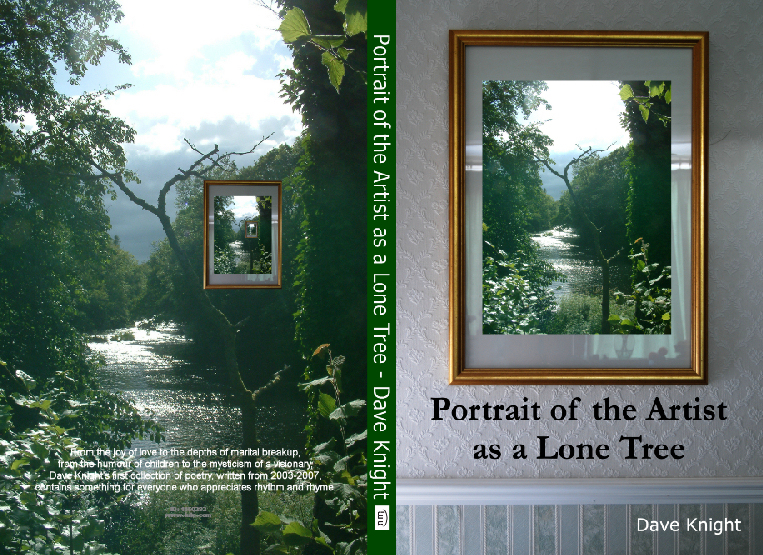 The condition of the author as 'lone tree' can be inferred from the cover picture. Yet the true portrait is not the cover, but the content. The book contains poems organised by subject - Love, Humour, Family, Literature, Fairyland, Nature, Stories and Visions, Haiku and Tanka, Assonant Animals, Faith - and in a section of its own, 'Simplicity', a poetic drama about the condition of the church. Here are some samples I hope you will enjoy. had prevented her being regarded a thief. "but please, for God's sake, just don't do it again!" for next of all Neptune was nearly called Janus! all names were still struck from a classical foundry. why not then have Charon as Sharon or Sheena? today, they made Pluto a Mickey-Mouse planet. Written 16th August, 2006. According to Wikipedia, on 24th August 2006 the IAU officially recategorised Pluto (whose principal moon is Charon) as a 'dwarf planet'. Mickey Mouse remains unaffected at this time. beside the lake where no bird sings? and her light had died. With thanks to the genius of John Keats (1795-1821), whose �La Belle Dame sans Merci� first inspired me to read and write poetry. This poem is an allegory of my own life, whose events tragically mimicked Keats' poem in 2006. I went looking for a picture of a sleeping fairy to represent �Aurorielle�, but since the artist had sold out that print, I bought his rendition of �La Belle Dame sans Merci� instead. It turned out to be a portent, as the beloved Fairy was sadly not what she had at first appeared; I had bought the right picture, after all. for I have suffered more than other men. to say to fate, "don't torture me again!" through which I paced each day with footsteps sure. who never knew the pangs of bitter pain!" But then my fall was utter, swift, and deep. though outwardly I jest, inside I weep. lit by the Lamb that shines for evermore. a place is saved for every bird and bee. does God reject what man was sent to rule? and in his love forever they will dwell. to find this beauty no-one heeds. the loveliness her maker gave. the moonlight where Fiona grows. so how to heal your hurts was all my heart. I somehow found my way towards your door. then sadly on the fence I sat for hours. if anything could give it other powers. for Christmas causes many errands there. no welcome had I asked you to prepare. and sadly pedalled lonely back to start. but night fell fast, and with it went my heart. and inwardly, I died a dreadful death. who didn�t think as others said she should. a Lady from the heart, no painted jade. on you, not academia�s pale quest. to capture you in love�s romantic dance. the last, but not the least; the draught, not dregs. from those who only spoke as they were taught. played all the age in sad fanatic scenes. your foes, Dame Time has chosen to forget. leafy lies that no-one sees. wings touching, touch, then fluttering away. and then I ran to catch you all the day. I wondered why no landing came for you. that called you to be weary ever more. I loved the butterfly that would not land. for punishment, will fit the crime. and all good things are louder than words. yet all that glitters makes no sound. which sweeps the rolling moss to doom. think - it’s better safe than never! let beggars choose to count the chicks. abstinence makes the heart grow fonder! So make your bed, but never lie. this is the day to seize the fish! that three young men had caused the king his ire. and like the ancient king, I stared in shock. and so, the word went blazing to the core. that daddy cared to teach me right from wrong. and then, there were not two inside, but three. an empty bench that waited patiently. the lawn becomes a dandelion dream. beneath, the graves of pets forgotten long. and sentinel, the pine looks ever on. swallow up fish from all shores South American. rudd, roach or loach? Helen hasn�t a thought or care. Ten merry tench, or a school of swift sticklebacks! Walking the park, she eats pigeons with quick attacks! all the world�s fish will know terror that never ends. 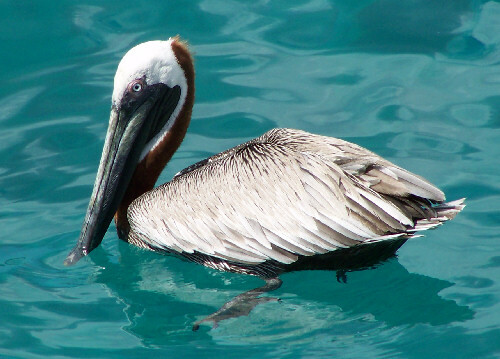 Helen�s the best of the elegant pelicans. that prophecy has given those to come. Lion of Judah, healer of deaf and dumb? Is this the one of whom the angels sing? and rose, forgiving those that laughed, below.